When Tess's mother abandons her during her senior year at high school, she must find a way to keep the secret and survive until graduation. She's surprised when Cruz, her crush and an aspiring model, moves in to help. Tess has dreams of studying in Paris, France and becoming a writer...impossible dreams without money or family. But as Tess and Cruz's relationship grows closer, Cruz will do anything to make sure Tess's dreams come true. But at what price? 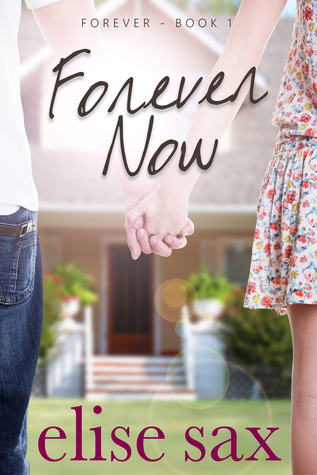 Forever Now is the first book in the Forever YA / NA trilogy about finding love, living dreams, and overcoming great odds. school, keep my grades up, and manage to make it to Paris. Nope. It was like pooping in space. I couldn’t figure out a way to do it. California with her two sons. by Elise Sax sounds the beginning of a great series. I want to read all of the books as they are released. Thank you for the giveaway….Forever Now looks like it will be a great series. The book sounds great . This sounds like a really sweet book - can't wait to read it!